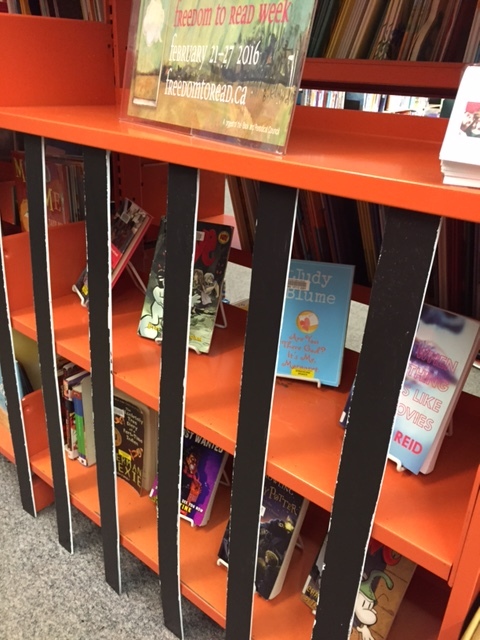 A little update on the previous post… here’s the library display for Freedom to Read Week created by VPL librarian Zoey. The jail generated a lot of buzz among the students. Comments such as,”What?! Why is Bone banned?” and,”Harry Potter? Why can’t we borrow Harry Potter?” prompted many interesting conversations.